HONG KONG (AFP) – Asian investors battled to finish a volatile week with some stability yesterday as they weigh the outlook for China-US trade talks and uncertainty in oil markets, while looking ahead to the release of key US jobs data. The general mood across trading floors is of unease, just days after the euphoria of Donald Trump’s tariffs ceasefire deal with China’s Xi Jinping at the G20 that put the row off for 90 days while they try to resolve the crisis. No sooner had the rally from that announcement run its course than questions began to be raised about the details and whether the world’s top two economies could actually resolve their differences. China on Thursday appeared to try to ease concerns by saying it would “immediately” implement measures agreed under the truce, while Trump later sent a tweet highlighting progress. “Statement from China: ‘The teams of both sides are now having smooth communications and good cooperation with each other. We are full of confidence that an agreement can be reached within the next 90 days.’ I agree!” he wrote. 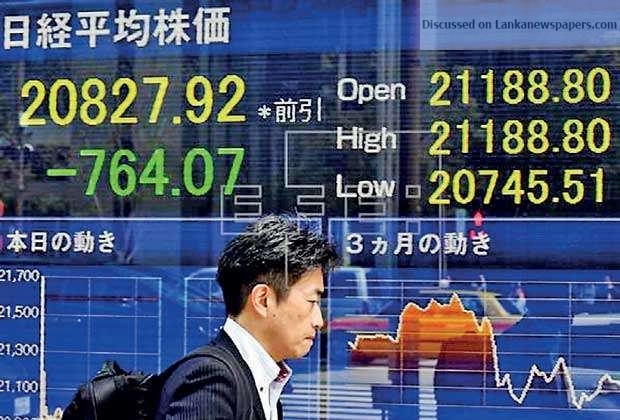 Tokyo closed 0.8 percent higher, while Hong Kong added 0.1 percent and Shanghai ended flat. Sydney edged up 0.4 percent, Singapore and Seoul each gained 0.3 percent, while Wellington, Jakarta and Taipei were also higher. A report in the Wall Street Journal said the bank would take a wait-and-see approach to its decisions as signs point to a possible slowdown in the world’s top economy. The prospect of rates continuing to rise for some time making it more expensive to borrow to invest has been a major reason for selling on world markets this year. Bank head Jerome Powell, who has grown more dovish in recent weeks, remains upbeat and attention will be closely on the release of key non-farm payrolls figures yesterday. Analyst Stephen Innes, head of Asia-Pacific trade at OANDA, suggested markets may have overreacted this week. “The Huawei headline could not have come at a worse time, with the market reeling as confusion reigned over the G20 fallout,” he said.